Could greeting fans be possibly bolder and more off-the-beaten-path than this? 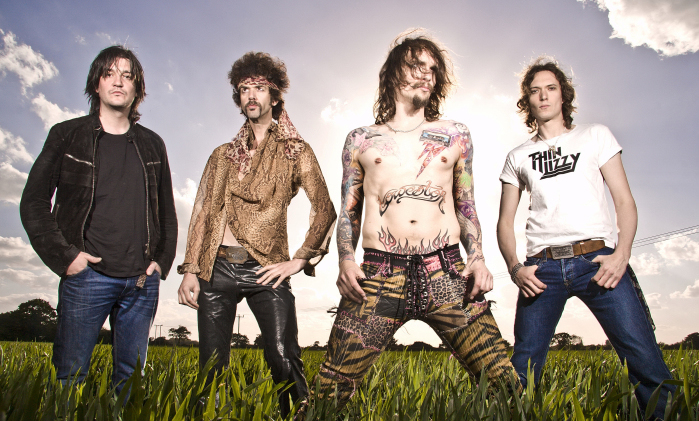 As The Darkness are luring Italian fans into coming to their upcoming performance at the Kimera Rock, taking place at Palazzo Fiera in Avezzano, Italy on July 9, they are surpassing themselves in creativity and originality. 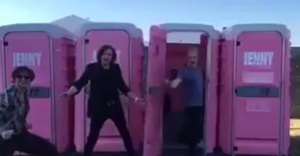 Last night The Darkness tweeted a short surprise video, in which the band members one by one fling open the door of the public toilet cubicle and say hi in the band’s typical cheerful manner. Who else could come up with such a hilarious yet unbeaten track? Watch the funny clip below. Besides, the ready-witted musicians recently posted an official video greeting their Italian audience, where they try their best at inserting Italian words and exclamations into the short invitation to the show. If you missed it, check it out below and “enjoy” the rockers’ Italian pronunciation. What do you think of the greeting video from public toilet booths? Share your thoughts in the comments, and join Alterock Facebook and Twitter to stay tuned for rock and metal news.